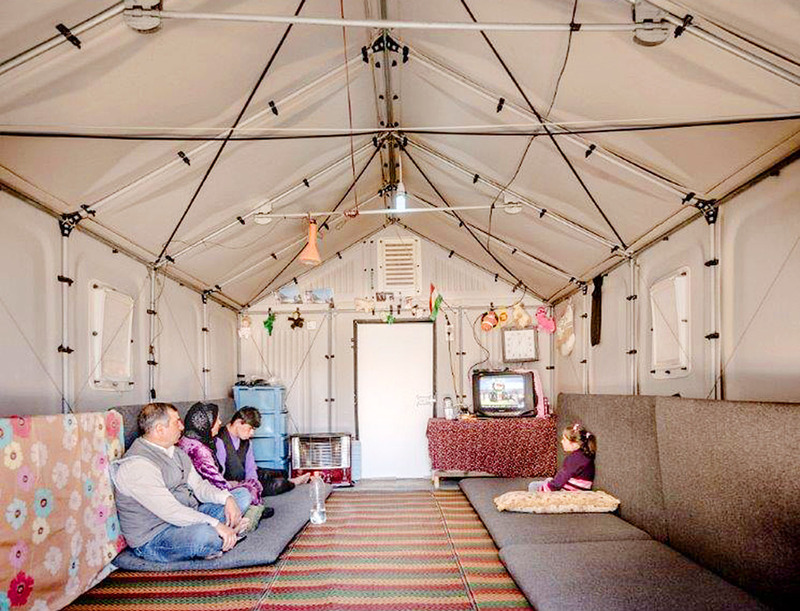 The Better Shelter emergency shelter was recently announced as the winner of both the Architecture Award and the winner of the Grand Prize in the 2017 Beazley Design of the Year Competition. 2017 marked the 9th time the annual competition had been held. The Shelter promotes sustainability in many different ways. To begin with the Shelter comes with a solar powered system which can power a light inside the tent for up to four hours or enable the user to charge a mobile phone. This helps provide light during hours of darkness and allows residents a higher level of safety, security and dignity during non-daylight hours. Unlike the tents commonly used in refugee camps around the world, the Shelter, can be repaired more easily. If a tent becomes damaged it is then often the case that the entire tent needs to be replaced but with the Better Shelter individual components can be replaced instead of the entire Shelter. Furthermore, the Shelter can easily be dismantled, moved and reassembled. Assembly can be done with only four people and can be completed in around four hours. At present, around 30,000 shelters have been installed and are in use around the world, with the capacity for many more to be erected and used. The Shelter is highly adaptable and can be used in different locations with different conditions around the world. The windows and doors of the Shelter can be placed in different positions in order to suit the location of the Shelter while other sections can be added or removed in order to create a shorter or longer structure. The Better Shelter team acknowledge that while “It’s not luxury accommodation by any means” it is still a better alternative to residing in a standard refugee tent which can be easily damaged, or robbed, or worse still having no shelter at all.